Deacon is the name of a phantom thief. The burglar’s schemes are elaborate and incorporate the use of innovative magical tools. Among other things, Deacon is credited for infiltrating Lord Bronson’s vault two times—once through a small hole in the ceiling and once straight through the front door. A stylized symbol of sun and moon–similar to those found in religious tapestries–is the only evidence anyone finds at the scene of the crime. Rumors among the thieving community assert that Deacon discards his equipment after a job. Lucky individuals have stumbled upon his gear and have used it to great effect. Common in these dropped caches is specialized leather armor. It has become a hallmark of the criminal as much as the symbol of the sun and moon. While attuned to this item, you have advantage on Sleight of Hand (Dexterity) checks. Additionally, Deacon’s leather armor is always customized for specific jobs. 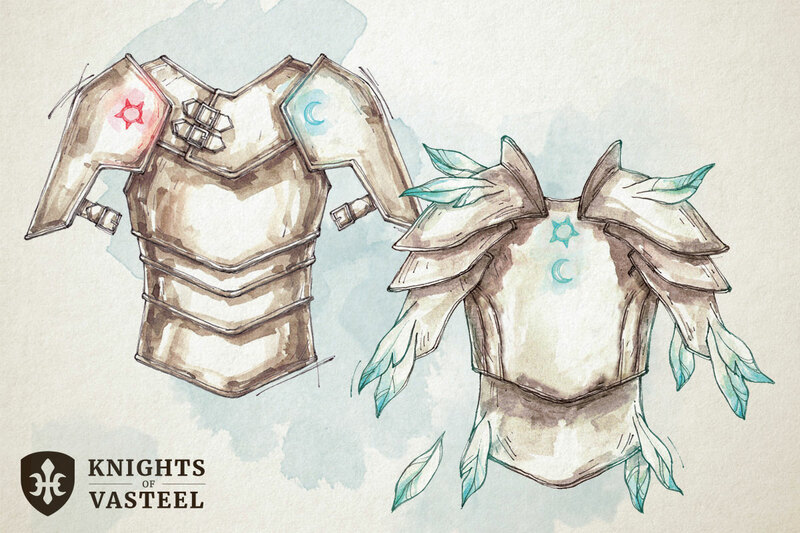 When the DM awards this armor, they will grant one of the following effects. The effect cannot be changed. As an action, you can engage the effect of Deacon’s Leather Armor. The effect lasts 10 minutes or until you use an action to dismiss it. You cannot use this ability again for 24 hours. You can cause feathers to grow from the armor. When you jump, the feathers flap and double your jumping distance. If you choose to jump straight upward, you can hover in the air at your maximum height until the start of your next turn. Additionally, If you take damage from a fall while using this effect, reduce the damage by half. You can cause your arms to extend beyond their normal length. Your reach increases by 5 feet. Additionally, you have advantage when trying to grapple another creature. You can create a spectral arm that attaches anywhere on this armor. The arm has a reach of 5 feet. You can use a bonus action to control the arm to perform simple tasks. The arm can’t attack, activate magic items, or carry more than 10 pounds. You can still use a bonus action to command the arm even if you are grappled. You can cause a sticky goo to cover your armor. In this state, if a creature misses you with a melee weapon attack, the armor grips the weapon. The attacker must succeed on a DC 11 Strength saving throw, or the weapon becomes stuck to the armor. If the weapon’s wielder can’t or won’t let go of the weapon, the wielder is grappled while the weapon is stuck. While stuck, the weapon can’t be used. A creature can pull the weapon free by taking an action to make a DC 11 Strength check and succeeding. You can shrink yourself. Your size is halved in all dimensions, and your weight is reduced to one-eighth of normal. This reduction decreases your size by one category – from Medium to Small, for example. While you are small, you have disadvantage on Strength Checks and Strength Saving Throws. Your Weapons also shrink to match your new size. While these Weapons are reduced, your attacks with them deal 1d4 less damage (this can’t reduce the damage below 1).